A delightful story of Elliott and how he thrives. The endearing and fun illustrations are by Chance Alvis and Julia Treesfeld of the University of Mary Hardin-Baylor Applied Design Studio. Love the cover art on this one. Something important to point out is that all the proceeds from the book go to an orphanage for abandoned, orphaned and at risk babies in Arusha, Tanzania East Africa. A great book with a unique story. 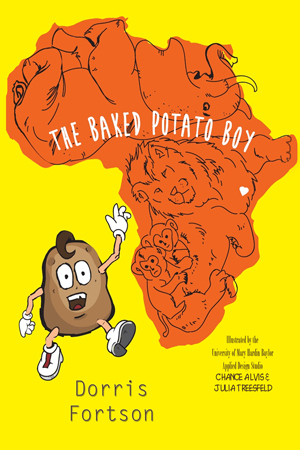 The Baked Potato Boy by Dorris Fortson is entertaining and educational. While it’s not often I make mention of artwork or book design first in a review, I simply must do it this time. Helen H. Wu has drawn stunningly beautiful artwork for this story of an injured Barred owl who seeks help from other animals and returns their generosity year after year. The overall book design is lovely and the eloquent font adds just the right touch. All this enhances the charm of this seasonal tale from the talented pen of Angela Muse. This lyrical, rhyming story will delight young readers and encourage them to develop a servant’s heart. The ancient books were written in blood. Most are lost, their Keepers with them. A curse that befell a people; a Kingdom with no King. Life couldn’t get more harrowing for the Elfies, a blend of Elves and Fairies. Or for sixteen-year-old Jules Blaze. Or could it? For Jules, the heir of a Keeper, no less, suspects his family hides a forgotten secret. It was bad enough that his people, the Elfies of Reign, triggered a curse which reduced the entire inhabitants to a mere inch centuries ago. All because of one Keeper who failed his purpose. Even the King’s Ancient Books, did not help ward off that anathema. Now, Gehzurolle, the evil lord, and his armies of Scorpents, seem bent on destroying Jules and his family. Why? When Jules’ family home is ransacked to find his mother’s Ancient Book and his mother is kidnapped, he realizes the threat is real. Gehzurolle’s agents hunt for Jules as he journeys into enemy land to find the truth. Truth that could save him and his family, and possibly even reverse the age-long curse. Provided Jules realizes who is a friend and who is a foe, and doesn’t get himself killed first. 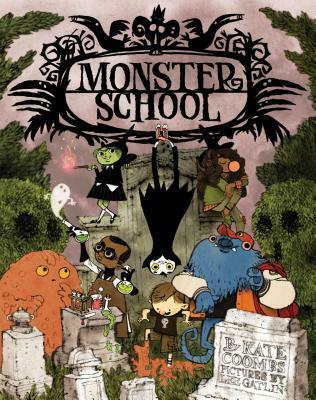 Although the book is listed as YA, this is a wonderful read for kids 10 and upwards. Central to the plot and the family is Jules Blaze. There is a nice feel to his relationships with his four younger siblings, each of whom has a clearly defined character. Jules is responsible, a little over-anxious at times, but eminently likeable, with a noble heart. His strength and courage mark him as a strong leader in this quest. He faces dangers, disappointments, and betrayal with maturity. An important aspect of fantasy and sci-fi is world-building: it must be real and credible. Author Emma Right does a great job here, incorporating the magical with the mundane, and blending the mysterious with the dangerous in expert fashion. The Elfies are extremely small, hence their hazards are myriad: from aggressive birds, insects, and animals, to falling acorns, to natural elements, to the evil Lord Gehzurolle’s agents. The author weaves back history and Elfie information deftly into the plot enabling the action to race onward. There is a helpful cast list for younger readers, as well as a map (always a bonus) to help adventurers share this epic quest. I found the ending a little abrupt, but it hints of more action to come. 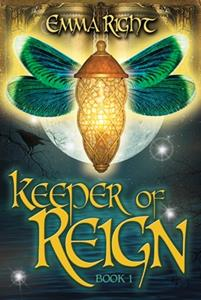 Keeper of Reign is currently free for Kindle, but that status could change at any time. The Crypto-Capers are back with a new adventure, a new mystery to solve, and some new friends in The Legend of the Golden Monkey. Max, Mia, and Nellie “Granny” Holmes travel to the ancient ruins of Chichen Itza, which was once a flourishing Mayan city filled with secrets. Now in the midst of a treasure hunt, the Crypto-Capers must sabotage the Panther’s efforts to find the treasure first. While Morris helps remotely from Max and Mia’s home in England, the Crypto-Capers must depend upon each other and their new friends in order to discover the truth that will locate the items needed to unlock the treasure room and bring closure to an archeologists whose history is tied to the Golden Monkey. Author Renee Hand has kicked it up a notch in this latest installment of The Crypto-Capers Series. Max, Mia and Granny are again pitted against their nemesis, the Panther, to be the first ones to find the items that will solve the mystery of the Golden Monkey. We met the Panther in the second book of this series, The Case of Red Rock Canyon, and we only get a glimpse into how dangerous this person can be. In Book 3, we learn more about the Panther and exactly what lengths he’ll go to, to get what he wants. In addition to the Panther, Maggie Devereaux is a character that is carried over from the second book, though she plays behind the scene roles. Hand has done an excellent job of further developing her characters as she continues this series. All the Crypto-Capers are learning more about themselves and each other. Morris is moving forward with bringing them top-notch technology to help solve the crimes, and the strength and cohesiveness of the team continues to grow. The addition of new characters, while developing those who have been present since the start is flawless. I enjoyed Emmanuel and Spencer–characters created by young fans of The Crypto-Capers Series–and how they become involved in this current mystery. I am glad they will return in the next book. The cryptograms from this book are slightly more challenging, but even without a key there are enough clues to figure them out, so that this reading experience, like for the other books in this series, is interactive and fun. The Crypto-Capers Series by Renee Hand includes some of the best and most engaging books for children in grades 4 through 7. I continue to look forward to the next book in this series. If you decide to purchase a copy of this one, make sure you hold onto it because like all the other Crypto-Caper books, they are tied into each other and you will need them later.